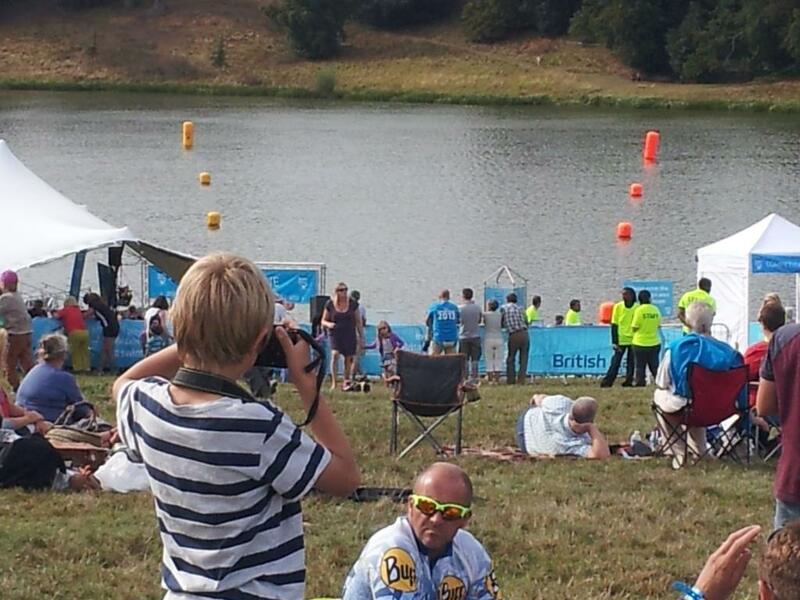 “This sounds exciting,” said Rob, my sporty son-in-law, “it’s a 4 km open water relay in the Blenheim Palace Lake – you up for it, Grandma Jo?” “Why not?” I replied, without really thinking. // A few months later, I found myself squeezing into a cut-down beach wetsuit in a marquee near the lake which looked brown and cold, despite the sunshine – it turned out to be both! // We had 2 teams: the Earlsdon Eels and the Hearsall Haddocks, with four people in each. The route ran out from the edge of the lake and back, around a series of buoys. That was 250 metres, so we swam round 4 times in turn, a total of 1 km each. This entry was posted in News by Penny Sewell. Bookmark the permalink.